A member of the House of Representatives, Hon. Israel Famurewa has declared his support for the speakership bid of Hon. Femi Gbajabiamila saying he has the acumen and credibility to lead the lower chamber. In a statement he issued on Saturday and made available to newsmen, Famurewa noted that the green Chamber deserves a man like Gbajabiamila as its head. Famurewa said, among all the contenders, Gbajabiamila, a member of the All Progressive Congress, is the best option for the seat. 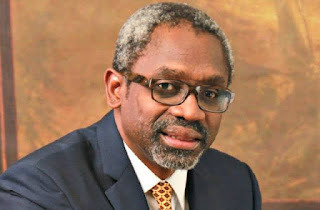 According to Famurewa, Gbajabiamila's wealth of legislative experience surpasses those of his fellow contenders saying that the house should consider him. "I speak as an active member of House of Representatives and a deep insider and I so endorse the speakership bid of Hon Femi Gbajabiamila. He is a brilliant personality and his wealth of legislative experience is yet to be equalled in the chamber. "The House needs a man like Hon. Gbajabiamila who can bring about requisite checks and balances in accordance with the constitution of the country," the legislator said.